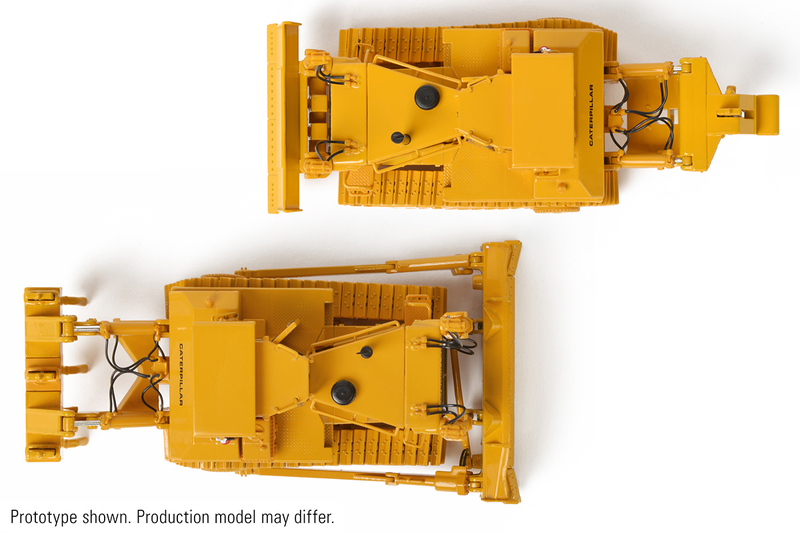 Moving quickly through pre-production, we were pleased to see the first samples of the upcoming D9L Track-Type Tractor in precision 1:48 scale die-cast that were delivered to our office. After a review of the model by both CCM and Caterpillar, a few minor adjustments have been noted and sent to the manufacturer. Where do we go from here? Well, the manufacturer will make the necessary changes and produce a final production sample, which will undergo another full review before receiving approval to begin production. Once we have obtained Caterpillar’s approval, production of the D9L will begin. Production quantities have been limited to 600 pieces for the Multi-Shank Ripper and 400 pieces of the Push Blade with Single-Shank Ripper, with the retail price for both set at $219.95. While we are too early in the process to determine when these models will be available with any accuracy, we will keep you up to date on progress on our blog as well as each model’s respective page. To see more information, as well as additional photos, please click on the model photos above. Ripper control is way too long. D9L’s and pretty much all dozers have pretty short ripper controls.